Nutanix guest tools (NGT) is a software bundle that you can install in a guest virtual machine (Microsoft Windows or Linux) to enable the advanced functionality provided by Nutanix. • Nutanix Guest Agent (NGA) service. Communicates with the Nutanix Controller VM. • File Level Restore (FLR) CLI. Performs self-service file-level recovery from the VM snapshots. • Nutanix VM Mobility Drivers. Facilitates by providing drivers for VM migration between ESXi and AHV, in-place hypervisor conversion, and cross-hypervisor disaster recovery (CH-DR) features. • VSS requestor and hardware provider for Windows VMs. Enables application-consistent snapshots of AHV or ESXi Windows VMs. • Application-consistent snapshot for Linux VMs. Supports application-consistent snapshots for Linux VMs by running specific scripts on VM quiesce. • Virtual IP address must be configured on the Nutanix cluster. • VMs must have at least one empty CD-ROM slot to attach the ISO. • Port 2074 should be open to communicate with the NGT-Controller VM service. • VMs should to be connected to a network that can be accessed by using the virtual IP of the cluster. Microsoft Windows Server Version: Windows 2008 or later versions. Microsoft Windows Client Version: Windows 7 or later versions. To enable NGT feature for a VM, click the Enable NGT action link under the VM Page. This displays a dialog box that asks for the confirmation to enable NGT feature for the selected VM. If you click Yes NGT feature is enabled for the VM and a NGT CD-ROM is mounted. 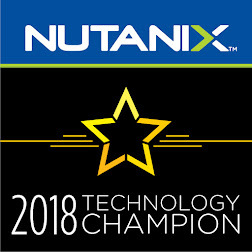 Enable File Level Restore in Nutanix Guest Tools: ncli nutanix-guest-tools enable vm-id="vm_id" application-names="File Level Restore"
Log into the Windows guest VM. In the explorer window, double-click the Nutanix icon labeled X. Accept the license agreement and follow the prompts to configure NGT on the virtual machine. After installation finishes, Nutanix guest agents are installed on the VM and you can use all the NGT features. Run the Command Prompt (CMD) as administrator. The ngtcli> flr ls-snaps command is used to List the snapshots and virtual disks that are present for the guest VM. The snapshot ID, disk labels, logical drives, and create time of the snapshot is displayed. To attach a disk from a snapshots, use the following command. After successfully executing the command, a new disk with label "G" is attached to the guest VM. Navigate to the attached disk label drive and restore the desired files. To detach the disk, use the following command.